My husband has been my photographer all these years and he learned the gig because he loves me and he wanted to help me. We've made some great progress along the way, he's been an essential part of my blog's growth and I love him eternally for that. Reality is that schedule wise it was getting really hard for both of us. Normally he would shoot my looks and campaigns and I went and edited the images... truthfully it's a lot. And it all was taking a lot of my time. That's when I made the decision to hire Diana from Love Print Photography. I met Diana at a blogging event and loved her work. She did our holiday pictures last year and ever since then I've been obsessed with her. Hiring a professional photographer has truly been life changing. She shoots, she edits... it's perfect and so easy on me. This is by far the best investment I have made on my blog. Now that you have professional photos, let's talk about the style of your blog, the face of your brand. Now I am not telling you to go and hire a graphic designer (unless you have the funds! ), Etsy has some amazing blog templates - my is from Etsy and I paid about $30 for it. There are endless designs you can choose from for both Blogger and WordPress. Even though I love having my photographer and I no longer edit my blog photos myself, it is important to note that you can absolutely have great photos without the pro-photog (if you don't have the budget for that). Programs like LightRoom and Photoshop are a great investment to make if you are looking to edit your own pics and learn the software. As far as phone apps, I use Facetune and love it. Here's an example of a photo I shot on my iPhone 8 Plus and edited on Facetune for an Instagram campaign. You can see that even though we shot this early in the morning with sunlight it still looked a little dark and the whites look a little yellow due to shadows and all. On FaceTune I mostly just use the whitening and smooth features which can make a big difference on a photo. I don't over of it with editing and I only use this one app and the editing options on Instagram for brightness and contrast. For $2.99 FaceTune is the best photo editing app to have! It is true that most of the things I know I have learned along the way, trial and error! But now a days there are so many resources and a few bloggers who are willing to share their tips and tricks (like me on this post!). So I've learned to invest time in learning doing research on what practices work best for a full time blogger like me. 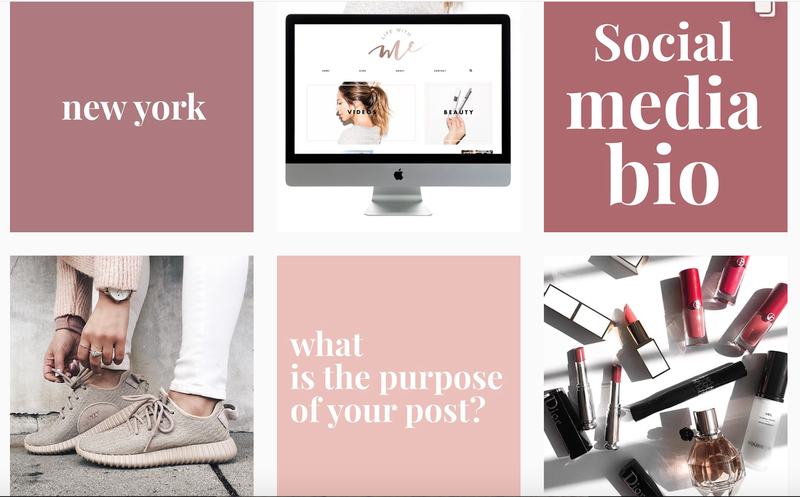 One of my favorite bloggers is Marianna Hewitt, I love her style and I love her even more now because she always shares everything you need to know about who to be a successful influencer or blogger. 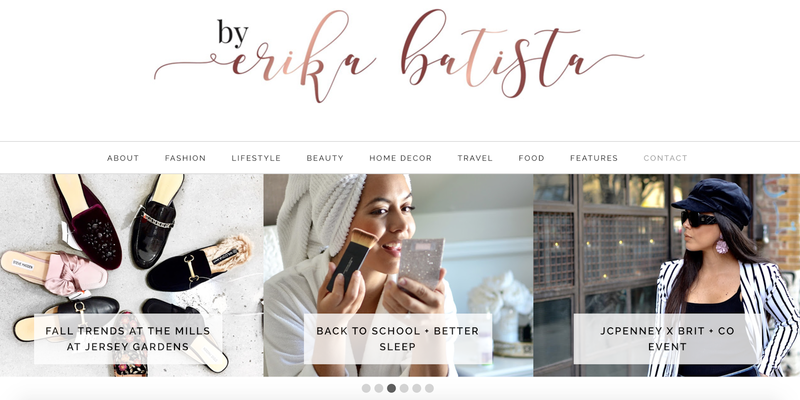 She recently launched Blog With Me; an extension of her blog Life with ME. On Blog With Me she shares tips and tricks and her social media tactics and advice on how to grow and be successful. I love her for that and mostly because she does it for free. There are also places like Bloguettes, where you can buy workshops and classes that you can study at your own pace and on your own time. You can enroll and learn how to edit photos, write pitches, get ideas on topics to write about, etc... I love the Bloguettes. Learning new things and taking classes in your trade is an important and necessary investment. I really hope these five tips on how to invest on your blog helped at least one of you. I am trying to post more of these because I know how helpful they are too me and I am really happy passing along the information if it can help any one else. If you have any questions, please feel free to email me or comment on this post below. There's so many more things I have to accomplish and grow so much more and I, in no way, consider myself an expert but I do love to share what is working for me.